1 A None No Power Seat 1 A is a Business Class Bulkhead seat that may have restricted legroom. The close proximity to the galleys and lavatory may be bothersome. There may be no floor storage during take-off and landing. 1 C None No Power Seat 1 C is a Business Class Bulkhead seat that may have restricted legroom. The close proximity to the galleys and lavatory may be bothersome. There may be no floor storage during take-off and landing. 10 A None No Power Seat 10 A is an Economy Class Exit Row seat that may have extra legroom. The tray table is in the armrest, making the armrest immovable and slightly reducing seat width. There may be no floor storage during take-off and landing. 10 B None No Power Seat 10 B is an Economy Class Exit Row seat that may have extra legroom. The tray table is in the armrest, making the armrest immovable and slightly reducing seat width. There may be no floor storage during take-off and landing. 10 C None No Power Seat 10 C is an Economy Class Exit Row seat that may have extra legroom. The tray table is in the armrest, making the armrest immovable and slightly reducing seat width. There may be no floor storage during take-off and landing. 10 D None No Power Seat 10 D is an Economy Class Exit Row seat that may have extra legroom. The tray table is in the armrest, making the armrest immovable and slightly reducing seat width. There may be no floor storage during take-off and landing. 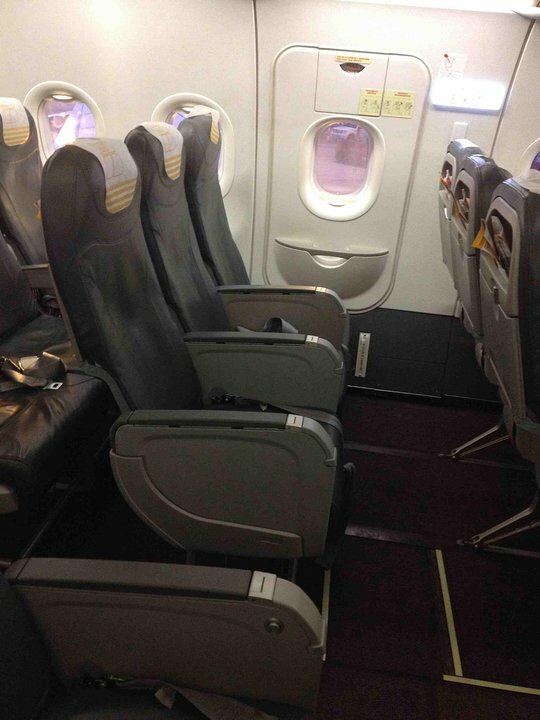 10 E None No Power Seat 10 E is an Economy Class Exit Row seat that may have extra legroom. The tray table is in the armrest, making the armrest immovable and slightly reducing seat width. There may be no floor storage during take-off and landing. 10 F None No Power Seat 10 F is an Economy Class Exit Row seat that may have extra legroom. The tray table is in the armrest, making the armrest immovable and slightly reducing seat width. There may be no floor storage during take-off and landing. 2 D None No Power Seat 2 D is a Business Class Bulkhead seat that may have extra legroom. There may be no floor storage during take-off and landing. 2 F None No Power Seat 2 F is a Business Class Bulkhead seat that may have extra legroom. There may be no floor storage during take-off and landing. 24 C None No Power Seat 24 C is an Economy Class seat where the close proximity to the lavatories may be bothersome. 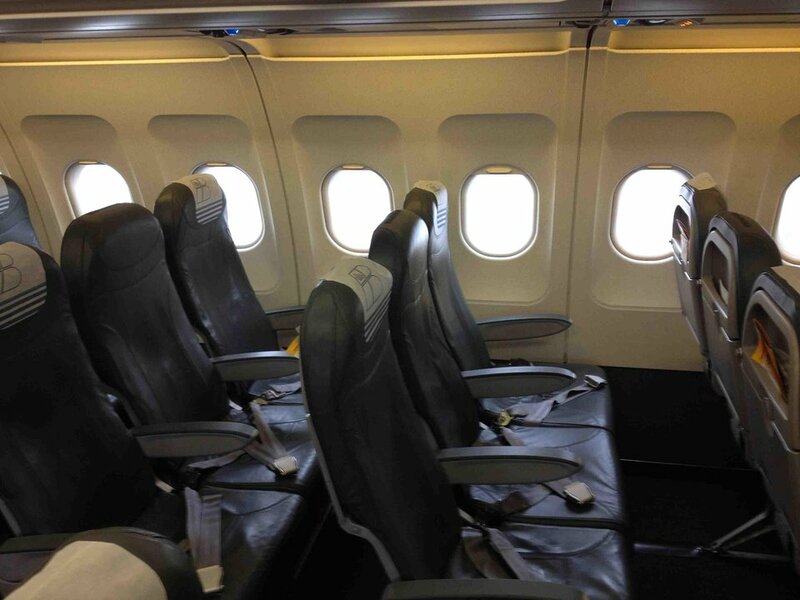 24 D None No Power Seat 24 D is an Economy Class seat where the close proximity to the lavatories may be bothersome. 25 A None No Power Seat 25 A is an Economy Class seat in the last row of the plane that may have limited recline. The close proximity to the lavatories may be bothersome. 25 B None No Power Seat 25 B is an Economy Class seat in the last row of the plane that may have limited recline. The close proximity to the lavatories may be bothersome. 25 C None No Power Seat 25 C is an Economy Class seat in the last row of the plane that may have limited recline. The close proximity to the lavatories may be bothersome. 25 D None No Power Seat 25 D is an Economy Class seat in the last row of the plane that may have limited recline. The close proximity to the lavatories may be bothersome. 25 E None No Power Seat 25 E is an Economy Class seat in the last row of the plane that may have limited recline. The close proximity to the lavatories may be bothersome. 25 F None No Power Seat 25 F is an Economy Class seat in the last row of the plane that may have limited recline. The close proximity to the lavatories may be bothersome. 7 A None No Power Seat 7 A is a standard Economy Class Bulkhead seat. 7 B None No Power Seat 7 B is a standard Economy Class Bulkhead seat. 7 C None No Power Seat 7 C is a standard Economy Class Bulkhead seat. 7 D None No Power Seat 7 D is a standard Economy Class Bulkhead seat. 7 E None No Power Seat 7 E is a standard Economy Class Bulkhead seat. 7 F None No Power Seat 7 F is a standard Economy Class Bulkhead seat. 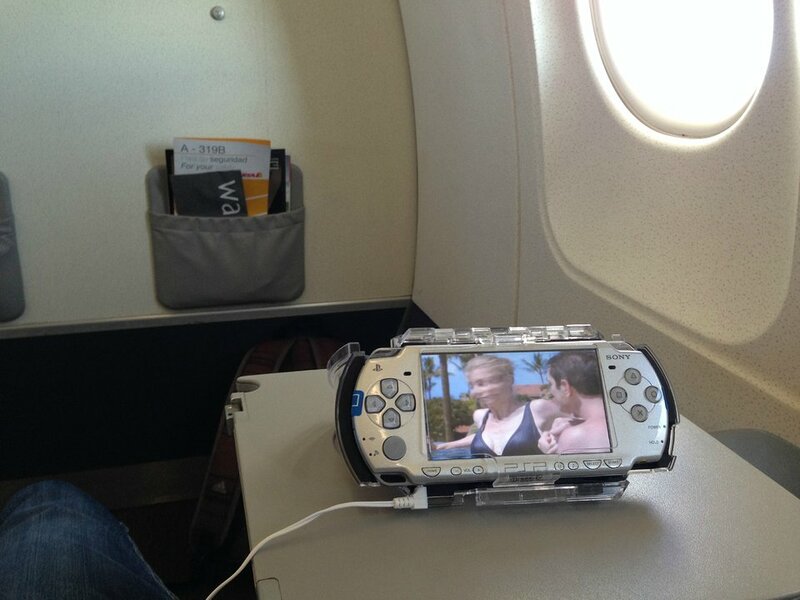 For all Business Club routes, passengers are provided a Portable Play Station (PSP) , with LCD screen to watch new film releases, top TV series and up to 10 audio channels with all the latest hits. This A319 aircraft model operates on medium-long haul routes and flies in a two class configuration with 14 Business Club seats and 102 Economy Class seats. There is another version of this aircraft that is the original A319 configuration, with convertible Business Class seats, but does not offer the Business Club seating product. Business Club passengers each receive an exclusive toiletry kit and can use a pillow and blanket for sleeping. They also have access to fast-track treatment in security control and can earn extra Iberia Plus frequent flyer points. Incredibly squashed seats with no back seat pocket, so no proper stowage. Aircraft was most unpleasant with strong smell of stale sweat. A nightmare, this Iberia Business Club configuration is a shame, in both business and economy, no proper IFE, the worst seats in both cabins and not up tp the standards for a 6h flight when competition flies wide body aircraft with decent seats. No matter what position i tried to sit in my legs were squashed against the seat in front. I am 1m88 so tall but not exceptionally. I think Iberias person in charge of seating is vertically challenged and this is his revenge. If you are over 1m75/80 then look for another flight if economy. The card in the seat pocket identified the plane as Airbus 319B. Trip was from Athens to Madrid on 15 March, 2015. The pitch was very uncomfortable. I wouldn't travel on this plane again, as presently configured. I flew from Lagos to Madrid in June and July and as a One World Sapphire I picked 10C each time because of the extra leg room as its an exit row seat. 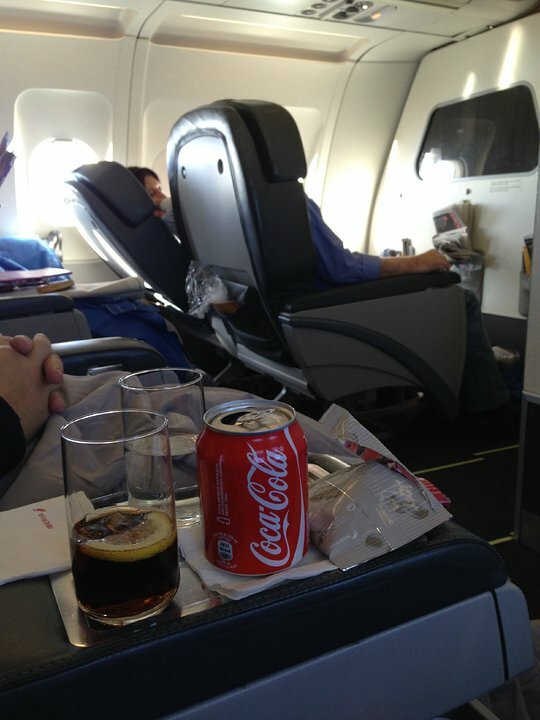 Compared to the rest of Economy, your'e technically flying Premium Economy. I don't think I can fit into the other regular economy seats. 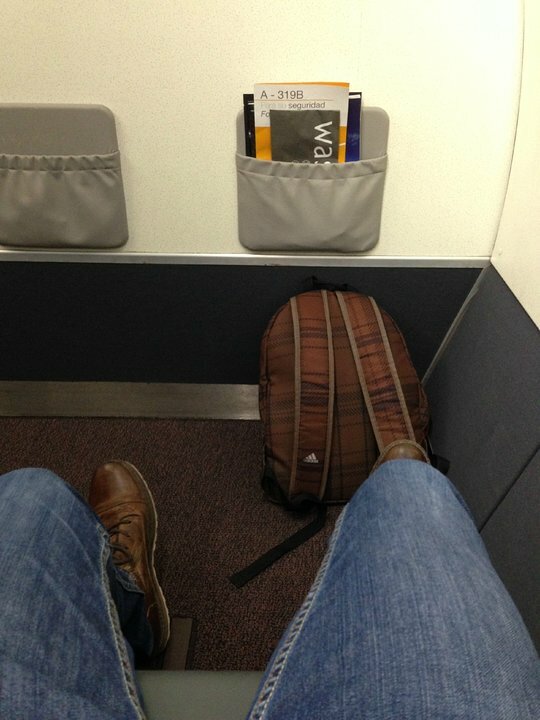 The leg room is ample and you can stretch well for the flight. Unfortunately there is no in-flight entertainment. The food isn't as bad as some people make it out to be also. I travelled from Lagos-Madrid a 5+ hours flight on this small aircraft. Economy seat spacing is more like 29" and exceedingly uncomfortable for such a flight. Never again. Seats 4A-C-D-F are the last row for business class. They are separated from economy class by a curtain only making reclining a bit awkward when there are people seated in the first row in economy right behind them. Iberia flies 2 versions of Airbus A319.